Backlink is a term to mention your blog link embedded in someone else's blog, just like the name suggests, backlinks is also a back door for visitors to be able to visit your blog. Looking backlink itself has become a daily blogger, where in general, a blog manager will start looking for backlinks right after he publish new articles on his blog, the process or activities to get backlinks is commonly called blogwalking, where a blog manager will be around in blogs neighbors, do promotion and leave his blog link on the blog, which will become a backlink. 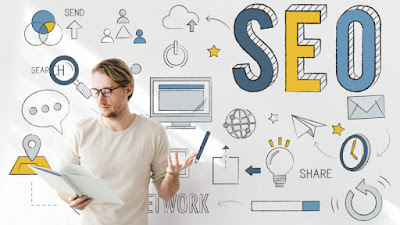 If illustrated, the backlink is like a foundation owned by a blog to be able to survive in search engines, the stronger this foundation, the better and steady also the position of SERP blog on search engines. You can also illustrate a backlink as a point in SEO, where the more points you have, the more likely your article will appear on the first page of search engines. Currently, backlinks are no longer a secret covered by SEO experts, since the knowledge of backlinks is circulating, countless bloggers race to get backlinks, with the aim of bringing his articles in a good position on search engines, and increasing the volume people who visit the blogs they manage. In general, the implementation of backlinks applied to a blog that has a topic of discussion or niche that does have a high competition, therefore, to launch a counter-attack against blog competitors, and make visitors visit his blog, an optimization is something that is needed . It can be said that the backlink is one element that holds the core role in doing SEO optimization. So for those of you who feel the blog you manage never get a statistically significant increase in visitors, even though you have to meet your blog with dozens, even hundreds of quality articles, it could not hurt to try to do SEO optimization by increasing the number of backlinks. Getting backlinks can be done instantly by visiting competitor blogs, promoting and leaving your blog links there, but in order for your hunt to be more effective and get targeted backlinks I will tell you a number of weapons of war in the form of browser add-ons that can make it easier for you to enter the battlefield and hunt quality backlinks. As you know, Alexa Toolbar is an add-ons that can be used to measure the ranking of a website based on the size of the traffic that the site has. In order for you to get quality backlinks, you are required to get backlinks from sites that have large traffic, because the opportunity of visitors who come to visit the link you leave on the blog will become bigger. Mozbar is an add-on that allows users to analyze a blog page, know the level of keyword competition, know the number of external / internal links, view page and domain authority (PA and DA). By using these Add-ons, you will be able to know which blogs are qualified, and which ones are not. In looking for blogs that serve as backlink targets, try to find blogs that have external links or outbound links less than 50 on a page, because if on a page has more than 50 outbound links, the chances of backlinks you create will not be indexed by Google , because it belongs to the category of garbage or spam backlink. As the name suggests, this one add-on works to analyze the number of backlinks owned by a web. You can use these add-ons to see how many backlinks your blog has. With this add-on, you can find out the number of backlinks owned by a blog or article by looking at the value of External Backlink when running this add-on. How to install the add-ons? To install the add-ons, you must use Google Chrome as a browser, and to install it you can do so by clicking the Add to Chrome or Add to Chrome button after clicking the link I gave above, then, the download and installation process will run with (automatic). For maximum performance, please restart your browser. To do so, you can close and rerun your browser. This is done so that the add-on is installed and running properly. Then, how the characteristics of quality backlink?Furthermore, things that are not less important, which you must know in link building is the knowledge of how the criteria of making and the type of quality backlinks for blogs. In doing blogwalking in order to get backlinks, you can not just comment, and leave your blog link. Before submitting a link to a site, there are a few things you should look for in order to keep your backlink searches in vain, and even in the worst case scenario, your blog will be penalized by Google, which puts your article in search engines more worsening. # Points 1: Backlinks created should point to an articleIf the topic discussed is a technique for getting backlinks, many people ask, "are backlinks made backlinks leading to the main domain URL (homepage) or URL of an article?" If you ask the same question, the answer is "depending on your taste"
My point is, if you want your optimized primary domain to appear on the top page of the search engines, then all you have to do is create a backlink that leads to the homepage, on the contrary, if you want the article on your blog to get a good position in search engine, then all you need to do is build a backlink that leads to the url of the article. I myself prefer to prioritize building backlinks for the URL of the article, considering the article is what will bring us visitors, if the matter of optimization so that the homepage appears on the first page in search engines is not so necessary, because over time, the position of a blog homepage bit by bit will increase according to the number of visitors who visit the blog. 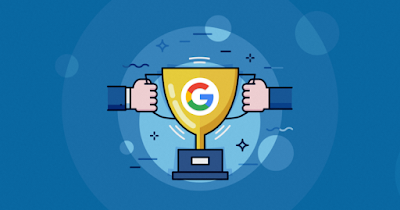 In addition to building backlinks to improve the SERP homepage position and articles on search engines, you can also build backlinks to strengthen the position of all articles in the same category and label by creating backlinks for the label / category. # Points 2: Prioritize looking for dofollow backlinksIn SEO, there are 2 types of backlinks, ie dofollow backlinks and nofollow backlinks. 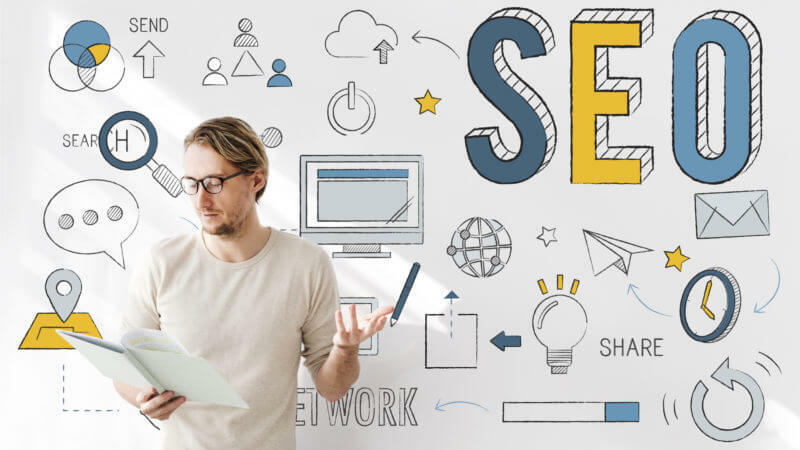 According to SEO experts, if you want the backlinks you build to be able to become an article positioning on search engines, it is advisable to create a backlink from the dofollow site. According to them, dofollow backlinks are more friendly and have far greater impacts than nofollow backlinks in the world of search engine optimization. If illustrated, the term dofollow backlinks have the same working mechanisms as follow-on Twitter, where the more you follow you, the better your popularity will be. But to make the blog backlink look more natural, the experts suggest to create a backlink with 3: 1 composition, where 3 for dofollow backlinks, and 1 for nofollow, this is done so that Google is not suspicious with dofollow backlinks that are too dominate, there is nofollow backlink found on a blog. In plain view, dofollow and nofollow blogs can not be distinguished, both are the same. However, you can find out whether a dofollow or nofollow type blog by opening the source view of the blog, another way, you can use the dofollow checker service that has been circulating a lot on the Internet. # Points 3: Find backlinks from sites with traffic and high authorityQuality backlink is a backlink imported from blogs that have high autority in search engines, where the higher autority of a blog, the greater the traffic owned. You do not have to bother to check whether a blog has high authority or not by using a variety of strange tools, because you can already know the greatness of the authority of a blog just by looking at the position of the blog on search engines. If you want to get quality backlinks from blogs that have high authority, you only need to build backlinks from the web that comes from the first 10 Google search results, in other words all the sites that originated on the first page of search engines. What about backlinks from sites that are on the second, third, fourth, and so on? Based on my experience, if you create backlinks coming from sites that are on the second page, third, fourth and so on, there is no significant impact given by the backlink, this is probably because the blogs that appear on the page are rarely visited by visitors and rarely in-jamah by search engine bots, be it Google, Bing, or Yahoo, which ultimately makes backlinks that you create difficult to indexed. Therefore, it would be nice to do hunting backlinks, make sure you build backlinks by building on sites that appear on the first page of search engines. In order for the backlinks you build can bring visitors, you are required to build backlinks from sites that have the same niche or topic of discussion with you, this is done solely to bring visitors from the link you leave behind, where if there are visitors visit the blog that became where you leave a backlink, and when the visitor feels the article he reads on the blog is incomplete, he can see the comment field for more information. Here is your chance to get visitors from backlinks you leave behind, with feelings that are still not satisfied with what they read on the blog, they will see the comment field, click on your blog link and continue reading similar articles on your blog. # Points 5: Undo your intent to get backlinks if the target site has many outbound linksAs I mentioned in the above points, there are times when a backlink will not be indexed by search engines due to certain factors, and one of those factors is the amount of outbound links contained on a page. Outbound links or outbound links are a designation for links that point outside the domain of the blog. Excessive outbound links are generally caused by the number of people scrambling to comment with active links, which also aims to get backlinks. According to some experts in Indonesia, it is said that if an article or page has excessive outbound links, this will make the article get a bad impression in SEO, decreased SERP, which will ultimately impact on the decline of visitors. But because your goal here is to get backlinks by adding outbound links in other people's blogs, then you do not have to worry, because that will get negative impact from the number of outbound links is not you, but the target blog. Itung-itung reduces rivals. From your point of view as one of those people who want to get backlinks by adding outbound links in other people's blogs, you have to act fast, where you have to compete with other bloggers who want to get backlinks by commenting. Ideally, on blogs that have low authority, try to be one of the first 20 people to comment and leave a link. As for high authority blogs, you are tolerated to be one of the first 50 people to comment, leave a link, and get a backlink. If you find a blog that has a comment beyond the amount I mentioned just now, it's a good idea to undo your intention to get backlinks from that site, because the percentage that the backlink you left behind will be indexed by Google is very small, at least, that's how I feel. The poison is meant here is the possibility that the blog will be penalized by Google for building massively in a short time, because it feels something is wrong, Google finally dropped a penalty for you who do SEO optimization is too much. To avoid this happening, I advise you to build backlinks that meet the criteria of the first point to the fifth point, because backlinks made based on these criteria are considered to be of high quality. One more, high quality backlinks can also be obtained from sites that have .edu and .gov domains, rumors, sites that use these domains are well liked by Google. 1. Comment on general blog and leave the linkCommenting is the easiest way to get backlinks, in addition to easy, cangkupan target sites that you can make your backlink shelter is very broad, therefore if you want to get backlinks, commented is the fastest way you can do. Commenting on blogs, promoting, and leaving links or more familiarly referred to as blogwalking is a technique that I will discuss a bit here. Currently, the outline of search engines is dominated by blogs that come from 2 different CMS (Content Management System), namely WordPress and Blogger. Each of these CMS has a different filling mechanism of comments, not infrequently there are sites that modify the default comment field with a comment mechanism that comes from third-party services, such as Disqus and Facebook. Also read: What is a CMS? Although it has different comment mechanisms, as long as there is a comment field, you can embed links, and get backlinks from those sites. But because every because each comment field has a different mechanism, you can not just embed the link, and get backlinks like you. For example, when you comment on a blog that uses the blogger platform and still uses the default comment field, you try to leave your blog link with when commenting (for example, you leave the article link bloku.blogspot.com/aku-is-one-blogger. html), if you just leave the link just like that, the link will not be active link or backlink, because the link created is dead link (not clickable). Method 1: Leave the active linkLeaving an active link is often prohibited by a blog owner, because it is considered harmful blog that became the shelter of the active link. But because you are here to leave active links, you will not get a loss, because the only loser is the owner of the blog, just the opposite, by leaving the active link, you will get a backlink that will be able to improve the SEO blog that you manage. The active link itself is a link that activates the HTML tag <a href="link">, or in simple terms, the active link is a clickable link and can direct the person who clicked the link to another page. For example the active link is this Google.com <- the link can be clicked, while the dead link is this Google.com <- link can not be clicked even though it is a link. If you comment on blogs that use blogger platforms, you can not just leave a link, because the link will be a dead link that can not be a backlink that can be indexed by Google. Then, how do I make a link into an active link? For those of you who already know the basics of HTML language it seems you do not really need these tips, but for those of you who are still very common in the world of web programming, here I explain how to make a link into an active link. At the time of commenting, you should make a comment that contains the <a href=""> </a> tag. The blue text is the basic HTML tag for the anchor text, the red text you can replace with the link (url) of your article, while the yellow text is the word used. When you publish the comment, the words click here will become an active link that can be a backlink. Unlike blogspot that requires a backlink hunter to use anchor text when commenting to create a backlink, if in WordPress, although you just commented by writing a regular link (example: blogku.blogspot.com/aku-is-seorang-blogger.html) , the link will become an active link. WordPress has a distinctive feature in its comment field, where in the comments field, visitors will be prompted to fill in Name, Email, and Website Address, and Message before posting a comment. By writing this Website Address also, you will get a backlink by way of commenting. Method 2: Utilize the Name / URLs profile serviceSometimes, a blog will not allow visitors to leave an active link, and perform a variety of ways, from installing an active anti-link script to activating moderation to filter while preventing visitors from using an active link to comment. But in place of the prohibition of using active links in the comments field, they will allow visitors to use the Name / URLs service to comment, and get backlinks. What is the Profile / URLs profile service? Profile service Name / URLs is one of the profile choices when commenting on a site that uses the Blogger platform. Using the Name / URLs profile, you can leave a backlink by commenting, where the name of the person who commented on Name / URLs will turn into a link that can serve as a backlink. To use the Name / URLs profile, you just need to write your blog name or article title in the Name field, and place a link from your article in the URLs column. After publishing, the profile name of the comment you created will be an active link, and you are declared to have successfully bred a banklink. 2. Submit articles on social bookmarking sitesSocial Bookmarking is a site that allows users to submit their own blog links on the site, display a summary of submitted articles, and if anyone reads the article, they should visit the source site to read the entire article. By submitting a link on social bookmarking sites, users can get thousands, even hundreds of thousands of visitors from the link submitted. A blogger submits articles on social bookmarking sites -> Blogger articles appear on social bookmarking sites -> There are visitors who read the article ---> But because the social bookmarking site is just as a media campaign, which only displays a summary of the articles in -submit, then the visitor should read the article from the original source -> Visitors access the source link -> A blogger who submits articles on social bookmarking sites will get visitors. On the site, you can find many articles from a variety of topics, and try to read one of the articles. When you read one of the articles there, you must realize that the article provided is not complete alias just summary / summary only. In order to read the entire article, the person reading the article must read the article from the "Read more" button, by clicking on the link, the visitor will be directed to the blog submitting the article. In addition to getting a quality backlink, you will also get abundant traffic by submitting articles on social bookmarking sites. Based on my experience, if the article you submit into the label "Top" you can see in the right sidebar Viva Log site, you can get traffic that is fantastic, unsparing, you will get tens, up to hundreds of thousands of visitors per day . Of course, this is not a fake visitor or bot, because this is pure traffic, where people who visit blogs are human visitors who feel interested in the articles we serve. Until now, I think Viva log is the best social bookmarking site in Indonesia. However, now there are many social bookmarking sites scattered in Indonesia, you can use this site to create more backlinks and visitors. Forum signatures are a feature that is presented by each forum for its members to write a description of themselves. This signature will appear at the bottom of each post (comments / replies or threads) they do in the forum, and for those of you who want a backlink, you can include a signature that embed your blog link. With this signature, your blog backlinks will grow along with the many activities you do in a forum. For example, if you reply to a thread, at the bottom of the reply will appear a signature, this signature will be a pretty effective backlink to improve your SEO blog score. In addition to getting backlinks, forum signatures are also used to promote a product, where if they want to advertise products (eg selling domain, hosting, SEO services, etc.) that they market, they can use the signature, multiply the activity in forums, and promote the products they market. In addition to text and links, there are a number of forums that allow members to add a banner signature by upgrading accounts to premium accounts. 4. Create an article related to your site on WikipediaWikipedia is a great site that covers a wide range of information from around the world, any information you can find on this one site. Not only that, Wikipedia is one of the few sites that have the highest authority, where Wikipedia has PageRank 10, and Domain and Page Authority are very high. Some of you may still not know that this site is a site developed by visitors, visitors who fill most articles on Wikipedia, so you can take advantage of this opportunity to create an article that introduces in detail the blog you have. In this article, you can introduce what features are presented on your site, from labels, categories, discussion topics and anything related to your blog. Not to forget, you must insert a number of links so that articles visitors who access the page can visit your blog easily. As time passes, the related articles of your blog on Wikipedia will be in the top position of the search page if you type in keywords that match the title of the article you wrote on wikipedia. 5. Use the footprint to make it easier to search for backlink search targetsAt the time of doing backlink hunting, not a few people complained of difficulties to find a blog that has a comment field or area to place a link. To overcome this, you can do a search by using a keyword in the form of a footprint to filter blogs that have a comment field and which are not. Footprint is a trace owned by a particular script or platform, each script has a specific code that is specific and not owned by the script or other platform. Besides being used to make it easier to find sites that provide comment fields, you can use the footprint to filter domains of .edu and .gov sites that have comment fields, which in general sites with this one domain are very stingy giving backlinks in the form of comments. By typing the format, we will see the results where all the blogs that appear will come from the blogspot platform in accordance with the desired keyword. If you do not believe it, let's prove it. If for example I want to find a blog that has keywords about SEO, then I need to do to filter for search results show blogs using blogspot platform, without any wordpress blog is "site: .blogspot.co.id seo". By using these keywords, I can filter all blogs in the world with SEO keywords and .blogspot.co.id, which indicates that the blog comes from Indonesia. For the introduction of the footprint it seems quite so, and now let's practice how to apply the footprint technique to make it easier to find backlinks. How to apply the footprint to find backlinks? Almost the same as the example footprint above, we just need to filter what we need. For its use, you only need to replace keywords with the keywords you want. By applying the use of this footprint, it seems that your hunt for backlinks will be much easier than using a plain true keyword, as I mentioned above, using a footprint, you can get filtered search results to your liking. As you know, if you use the Blogger platform, every time you create an article, the article automatically on Google+, and perhaps many of you are still unaware that Google plus is one of the best media provided by Google for you who want get backlinks. In general, after the article we publish, the article link will also be published on Google Plus, and if you type the same keyword with the title of the article we created in the search engine, which appears in the search results is not a link that leads to our blog, link that leads to your Google plus account, where we have to click the link in Gmail + account, then we are directed to our blog. Although the article links that appear on the search page do not lead directly to the blog, at least the articles that are the result of share in Google plus we appear on the first page and can bring visitors. Unfortunately, if we log out of a gmail account, the article that is a share in Google+ will disappear without a trace. That's because your status after logging out is anonymous, unidentified, strangers and has no connection with people who are on Google Plus. Simply put, this phenomenon is the same as seeing a post in a group on Facebook. If the group is a closed group, we can not view any posts or comments that contained the group. We can only see the posts or comments contained in a group if we have joined the group. In other words, as long as your status is anonymous, you will not see any Google+ links in the search results. Here is your chance to create a backlink from Google+, where every time you share an article on Google+, you have to do it in a crowded place. Long story short, I advise you to join a group on Google plus, just like Facebook groups, you can share links in that group. But unlike the share link on Facebook, if we share a link on Google Plus, the link we share will be indexed by Google, and the link will appear in the search page. Note that only those people who are members of the Google+ group you are joining in will be logged in when looking for something on Google to see articles you share on Google+. 7. Share templates yourselfFor those of you who are good in the field of web design, you can share templates that you create for free to the public and embed your blog link in the credit section. If you can not create your own templates, you can modify the view of another creator's template by requesting permission from them, and add two credit links, one for your blog link, and the other for the link to the original template owner. Backlinks derived from these credit templates can be said to be effective enough to increase SERP on the search page and bring in many visitors, sugeng.id site for example. Sugeng.id is one of the blogs that provide tips about blogging that can be said quite popular among bloggers. On some occasions, Mas Sugeng, who is the author of this blog also shares a number of free templates for those in need, of course, this template is also available in premium form, where to get it you have to make a purchase. Putting aside premium templates, in free templates, free alias, mas sugeng add credit links, where on this link, the creator makes a credit that redirects the link to his site. In addition to being used for promotions, this is also done to get backlinks.